My wife & I went to the Fargo Force hockey game Saturday night & had a great time. Now, it may seem odd to some that we went and did something that I wanted to do on Valentine's Day, which is also her birrthday, but don't worry. We have a nice dinner, followed by the Fargo performance of the "So You Think You Can Dance" Season 11 Tour Stop, so she'll be getting hers. We did have a lot of fun at the game, though, and a 3-2 win helped out with the festivities. 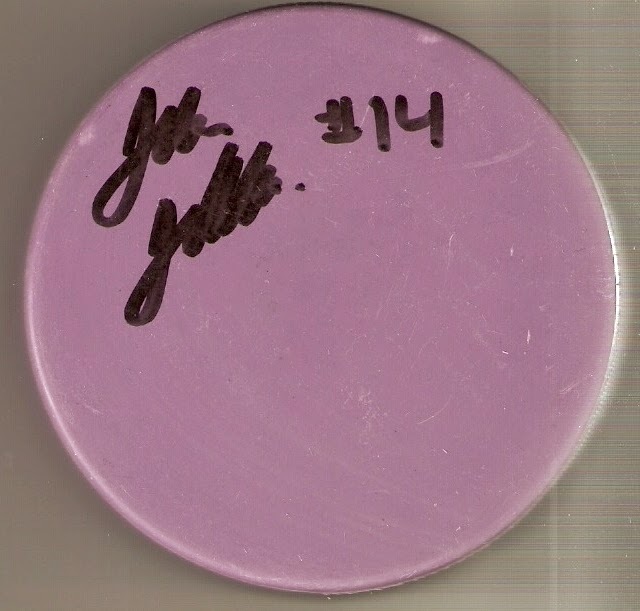 They also had their annual "Purple-N-Pucks" fundraiser, which raises money for Embrace, which is Sanford Health's local cancer survivorship program. They wore special purple jerseys for the game, that would be auctioned off afterward, so of course, I stayed to try and get in on the action. I had a little bit of money to spend, but once I realized that the jerseys were going for $400+, I had to ducks out of that one. 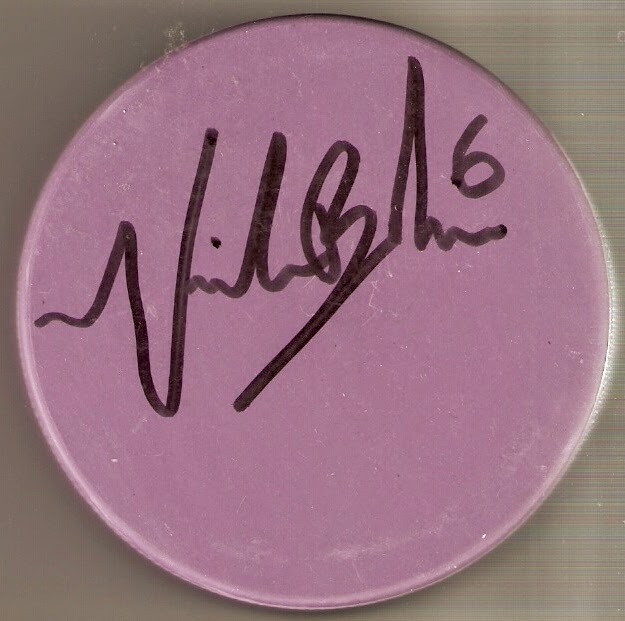 Still, I was able to get a puck autographed by Force team captain Mike Babcock, who is the son of the Detroit Red Wings coach, and has committed to Merrimack College for his next hockey destination. 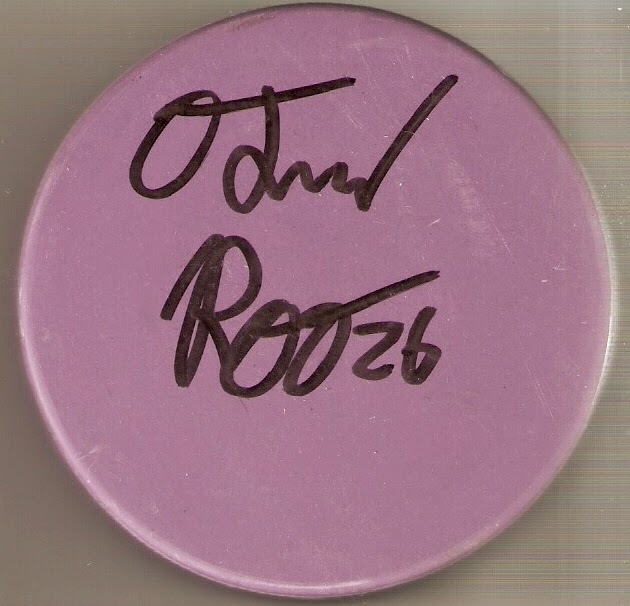 One fundraiser that I wasn't too poor to take part in was their Mystery Pucks. 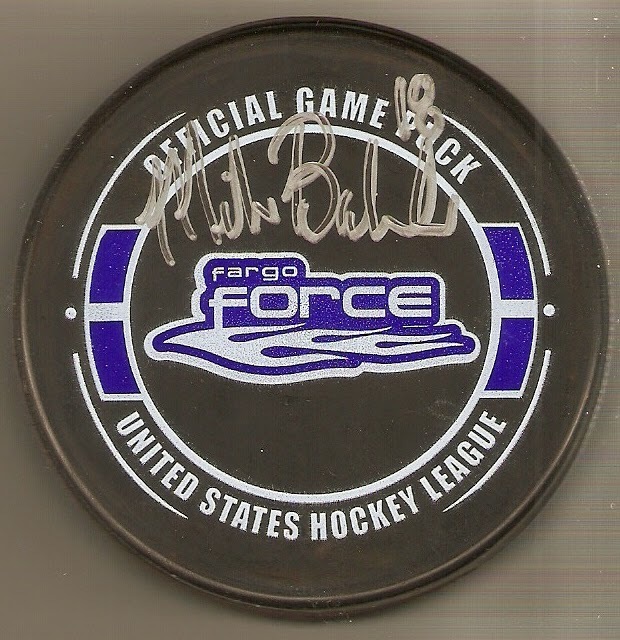 For just five bucks a piece, fans could purchase a puck signed by one of the Force players. 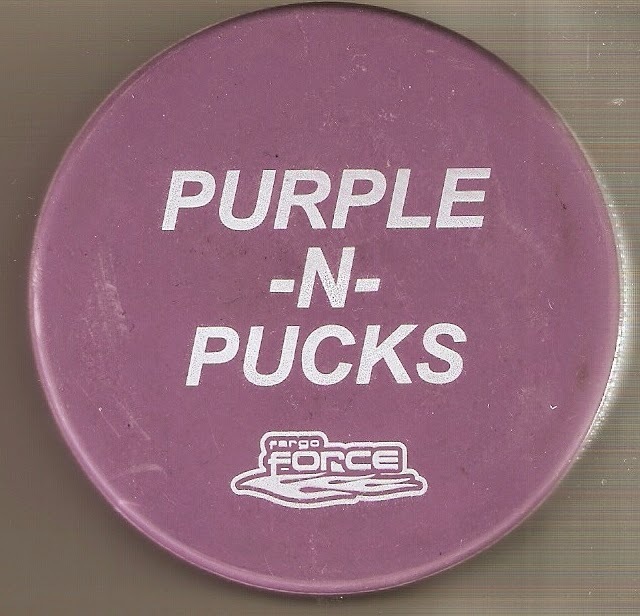 The pucks were purple and contained the Purple-N-Pucks logo printed in white. Jack Jenkins: 11 goals & 17 assists in 43 games, including Saturday's game-winner. 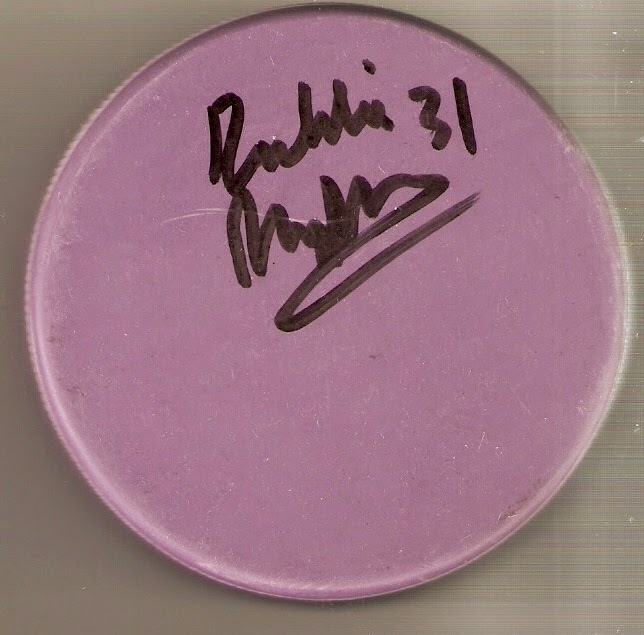 Robbie Beydoun: 5-6-11 record in 13 games, with a 2.61 GGA & .931 SV%. That's what I came away with this game. It was a great time & for a great cause, so what could be wrong with that!